Isaiah 23: 4-5. “Be thou ashamed, O Zidon, for the sea hath spoken, even the strength of the sea, saying, I travail not, nor bring forth children, neither do I nourish up young men, nor bring up virgins. As at the report concerning Egypt, so shall they be sorely pained at the report of Tyre. 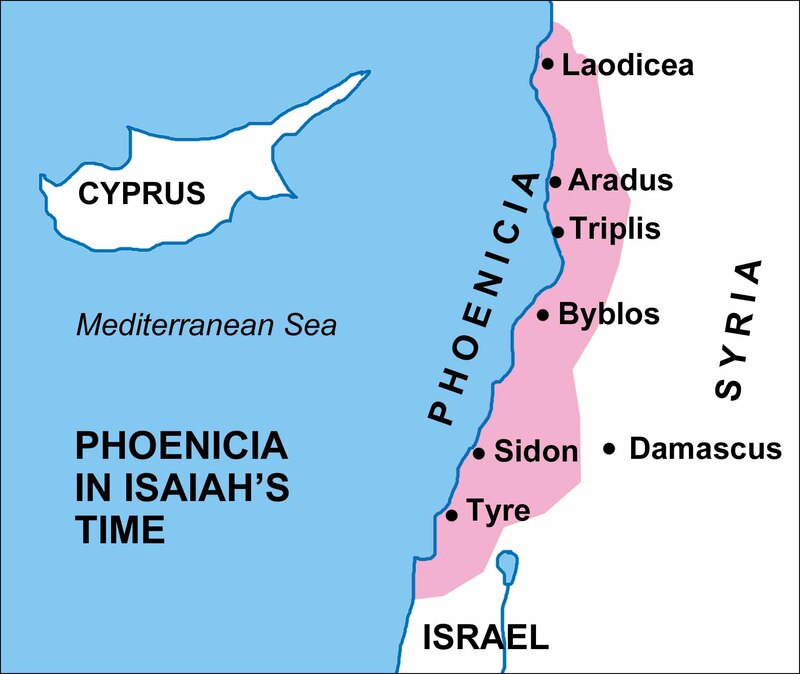 Zidon (Sidon) was the mother of Tyre, and had established, with the two cities, a remarkably lucrative trade in the Mediterranean. 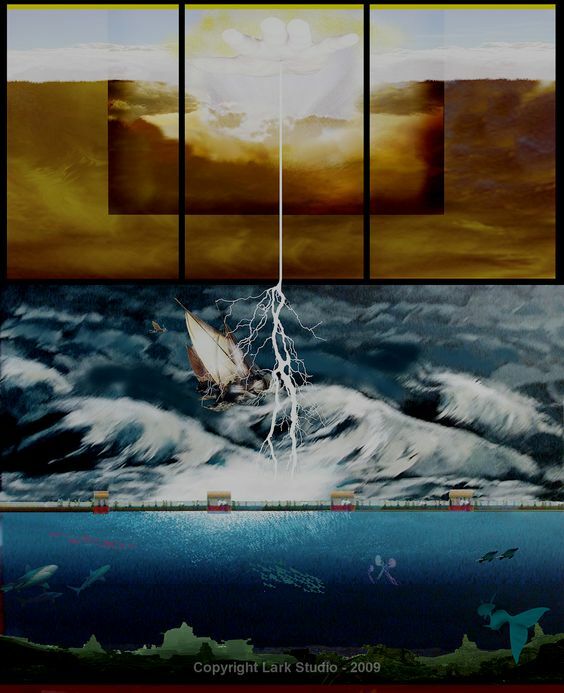 However, The Assyrian destruction or Tyre was so great that now “the sea,” which marked the source of riches for Tyre and Sidon, says there are four things it will no longer do. I do not travail (a word often used to describe childbirth) meaning no more cities would be established by Sidon. I do not bring forth children –the result of travail is birth. I do not bring up virgins–these two statement both indicate that Tyre would no longer receive help or trade. The city would languish, and Sidon would make no more cities, largely because she was so weakened by the destruction of Tyre. Just as the report of the destruction of Egypt caused great consternation, so would the destruction of Tyre. Commerce was destroyed for quite some time, and there was a condition that, in my mind, compares to the devastation of some of our inner cities where jobs have disappeared and income is insufficient. When that happens, crime is rampant and death is common. In September, I’ll be teaching a class of homeschoolers one of my favorite things–Shakespeare! Now, that may not ring your bell, and I understand that. I’m going to do my best, however, to bring it alive to my students–perhaps to open a whole new world of literature for them. We’ll be studying The Merchant of Venice, one of my favorites. There are several themes in the play. They include racism, money-lending, friendship and loyalty, marriage, justice, and mercy. One of the most-loved speeches of Shakespeare’s is in this play. It is spoken by the lovely Portia, who is appealing to Shylock, the money lender, to release Bassanio, who loves Portia, from the dreadful sentence of losing a pound of flesh for his failure to repay a debt. And Shylock, full of hatred against all who have persecuted him for being a Jew, gets to choose where that pound of flesh will be taken. Must needs give sentence ‘gainst the merchant there. This is a speech that is full of a knowledge of scripture. It refers to mercy as being an attribute of God, and points out that none of us would willingly demand justice from God, but that we would instead pray for mercy. First, I want to point out that God requires us not to do justice, but to behave justly; that is, in a fair and honest manner. And then, we are to love mercy. After all, where would any of us be without the mercy of God? If His justice were not tempered by His love and mercy, we would all face a dismal eternity. Finally, we are to walk humbly with God. We ought not to walk in pride, holding ourselves up as the model for others. We are to understand that “There is none righteous; no, not one” (Romans 3:10). I have a surgery coming up on Aug. 22. It’s not a long procedure, and I won’t need rehab afterward. I’m having a right-side sacroiliac fusion done, which is a beautifully simple procedure that eliminates a ton of pain. When it’s over, I’ll have matching scars on both sides of my spine. And, I hope, no more incisions for quite a while. I left that office with a handful of orders that we could take care of at the Quakertown campus, which is much closer to home. So we stopped there where I got stuck for blood work and a couple of other tests. One was a test for MRSA, which I’ve never had to do before. They swab your nostrils. Quick and easy. What is MRSA? Methicillin-resistant Staphylococcus aureus. In other words, it’s a nasty staph infection that is becoming more common all the time, and is resistant to treatment. It’s contagious. I first learned about it when I did a year of practicum in a nursing home, where it can be easily spread unless there is strict adherence to safety prodecures. Then I went to another part of the hospital for an EKG. It takes longer for the nurse to stick all the leads on your body than it does to run the actual test. I came home with a handful of antibacterial soap, wipes, and instructions. Only one more thing to do and I’ll be good to go. I have to get my PCP to sign off on the surgery, and I already have the appointment set up for that. Thinking about all this, which at first just seemed to be a monumental waste of time, I decided instead that I’m very thankful for the care that is taken to make sure all the bases are covered. Check, check, re-check in order to prevent infection before, during, and after surgery. No stone left unturned. This is not my first rodeo in the operating room, and I have to say that every experience has been positive. No complaints about the nurses, the techs, the doctors. We have an outstanding medical system that, until recently, is not under the governance of bureaucracies. It has developed in America as a result of free enterprise, outstanding education, and compassionate caregivers. The world still turns to America for procedures and medicine unobtainable elsewhere. I sure hope we’re not going to lose that status. The inhabitants of the isle: this is a reference to Tyre, the destroyed city. The merchants of Zidon: Tyre was a colony of Zidon, or Sidon, which was just a bit north up the coast of the Mediterranean. It was the first Phoenician city to send ships on the open seas; and became quite wealthy. However, the people also became careless, and they were a constant thorn in Israel’s side because, even though Zidon was within the boundaries of the Promised Land, Israel never possessed it. If you are interested in biblical history, as I am, you may want to browse this article. Sihor is another name for the Nile, which was indeed a mart of the nations. The outlet of the Nile into the Mediterranean connected Egypt and her great wealth to the other merchants who sailed the Mediterranean, and of course the Nile had great harvests of its own in fish, reeds of papyrus for making paper, and flax for making linen. You can see that Tyre was on the coast of the Mediterranean Sea. Tarshish was all the across the Mediterranean, in what we now know as Spain. There was regular trade between the two cities, so when Tyre falls to Assyria, Tarshish and her merchant ships are going to lose a primary trading port. The destruction of Tyre was terrible. No house was left standing. There was no one entering into the city. There was literally no available port there any more. Chittim refers to the Isle of Cyprus, and it could mean all of the islands in that end of the Mediterranean that were stops for trading ships. So great was the destruction that it affected trade in the islands as well as in Tyre itself. There’s a lot going on here. First, it was common for Oriental keys to be large, and often carried on the shoulder. The possession of a key was evidence of property or trust, an emblem of authority. It was customary to build certain pegs into the house, to hang things on. Unlike temporary nails in plastered wall which can fall out overtime, these were very permanent. On such pegs trophies, shields, swords, gold and silver vessels, changes of raiment, and other valuable things were hung, for show. Now, on to prophecy. Just as Shebna’s place would be filled by Eliakim, so Antichrist’s place will be filled by Messiah. Eliakim is marked as a type of Christ in vv. 22-24. Christ Himself , in Rev. 3:7, refers to the key of David in these same terms. I am reminded of the words “And the government shall be upon His shoulder” in Is. 9:6. The honor and responsibility that Messiah will have will far exceed what Antichrist had, just as Eliakim will far exceed Shebna. And we need to remember that it was pride and self-glorification that defeated Shebna, just as it is pride and self-glorification that will defeat Antichrist. We are still seeing the fate of Shebna here. God told Isaiah that Eliakim, son of Hilkiah, would replace Shebna as the keeper of the treasury. Shebna will be disgraced, and his beautiful clothing will be given to Eliakim–his robe of office, and the belt that signified his importance. Shebna’s governance had been to oversee the treasury. That governance would now pass to Eliakim, and instead of using it to further his own status, Eliakim would use his position to be a blessing to Judah and Jerusalem.